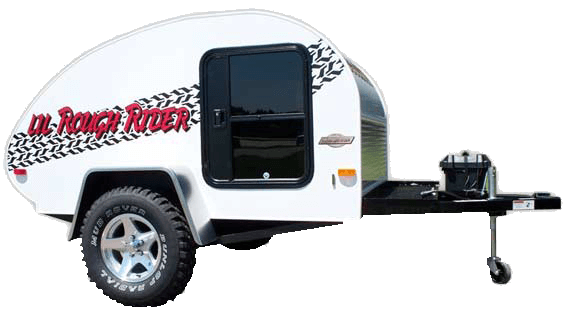 The Off Road Rough Rider from Little Guy is a teardrop trailer built for the ultimate off road experience. Rough Rider has available exterior features like electric brakes, custom made chassis, pintle hook and skid plates. Available fifteen inch knobby mud tires allow Rough Rider to go the same places your favorite off-road machine can go.